Shri Krshn: Notes on why he is called 'Bhagavan'. Author's Note: This is the 1st in this 'Shri Krshn' series. You may also read the 'Pot Luck' series: Part-I [HERE] and Part-II [HERE]. In this post, I will endeavour to bring out why Shri Krishna became Bhagavan Shri Krishna. This is the auspicious month of Shravan and today (July 29) - marks the commencement of 'Jhulon Utsav' (also: 'Jhulan Yatra,' 'Jhulan Purnima,' 'Hindola,' or the Swing festival) - that celebrates the love of Radha-ji and Shri Krishna. [Sanskrit: Sri Krsna]. Tonight, the rain gods permitting, we should be able to admire the serene full moon (Jhulon Purnima) and continue to celebrate till August 02. To me, both Radha-ji and Shri Krishna were humans and not God; to me they were (and are) made of flesh and blood, and not celestial beings. And I do not subscribe to this theory of divine love between them. 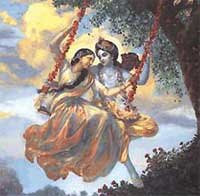 To my mind, Love is an emotion of myriad hues and shades; one aspect of which is divine. However what it is clearly not, is the manner in which it has been and is still being portrayed or depicted - by our showbiz and entertainment bigwigs and silver screen Czars and Czarinas. To me, Shri Krishna is an extremely multifaceted, talented and charismatic person, with immense insight into events and human nature, apart from possessing rare foresight. He meant different things to different people and was perhaps an awesome illusionist too - the best of his era (yug) no doubt, but of all times as well. There is no one Krishna - so to speak. There is this baby born under extraordinary circumstances into a royal family, a baby separated from his parents (Devaki Ma and Vasudev) right after birth and brought up by a family of milkmen (Yashoda Maiya and Nanda Maharaj), a baby that killed Putana; a naughty (natkhat) toddler that loved to steal butter, an extremely intelligent boy who spent his childhood in the village - as a cowherd (gopa), and the twinkle-eyed teenager that playfully teased the milkmaids - the gopis. There is also the extraordinary philosopher and guide - to Arjun and the other Pandavs, a dear friend - to Sudama and Arjun, a sakha - to Draupadi, the slayer of the ruthless Raja Kamsa (Kansh), and the consort of Radha - in an eternal romance that transcends eras. And there is also the handsome King of Dwarka, a great warrior, a fountainhead of knowledge and wisdom - as enshrined in the 'Srimad Bhagavad Gita' that consists of 700–verse and is part of the celebrated 'Mahabharat' - the comprehensive itihaas (history) of the 'Dwapar Yug,' ... and much more. The Bhagavad Gita begins before the start of the climactic Kurukshetra war, with the Pandav prince Arjun becoming filled with doubt on the battlefield. Realizing that his enemies are his own relatives, beloved friends, and revered teachers, he turns to his charioteer and guide, Krishna, for advice. Responding to Arjun's confusion and moral dilemma, Krishna explains to Arjun his duties as a warrior and prince, elaborating on a variety of philosophical concepts. The 'Srimad Bhagavad Gita' distills the timeless knowledge of the 'Veds' (whether of all the four - the Rg Ved, the Sama Ved, the Yajur Ved and the Atharva Ved - I know not; but of the Rig Ved certainly) and those of the 'Panchatantra,' the 'Upanishads,' the 'Ramayan,' etc., as well. It is a book that holds immense wisdom and knowledge within its pages and is the jewel of ancient India's spiritual wisdom, one that is not constrained by time and space. The Veds, the Panchatantra, the Upanishads, the Ramayan, etc are all part of another era - a different yug. The 'Ramayan' is the comprehensive itihaas (history) of the 2nd era - the 'Treta Yug,' while the 'Mahabharat' (of which the 'Srimad Bhagavat Gita' is a part of) has come into our possession from OUR forefathers who lived in the 3rd era - the 'Dwapar Yug'. And WE all are part of the fourth era - the 'Kali Yug'. Which other 'ism' existed in the earlier 'yugs' (eras or kalpas)? None that we know of! Since 'religion' and 'ism' were not part of the 'way of life' - in the preceding eras. Strangely, these days, a mere change of name, attire, the manner of 'offering prayers' and a change of the respective 'place of worship' is all that is required - to connect with the divine and with one's inner self - the soul. But how does one change the DNA - the mark of one's forefathers - firmly embedded within one's marrows? How indeed?? And does anything ('religion' included) come from vacuum? Is there nothing that influences or precedes it? For OUR forefathers, the stress was not on 'religion' (this word and its connotations were unknown to them) but on dharm, that elusive word, which lays down what is right, rather indicates one's righteous duty - no matter what the obstacles in its path. 'Dharm' - was a way of life ... and had not yet come to mean either 'coalition dharma' or 'religion'. Coming back to Shri Krishna, is it not possible that OUR forefathers gave the status of 'Bhagavan' - to someone who touched their lives and was a harbinger of change - positive change - in society, and whose life and times transcended eras? Can it not be that Shri Krishna was one of the many wise and accomplished men and women of their time who achieved this exalted status of divinity (that of 'Bhagavan') - through sheer dint of their will and effort as well as their influence, their work, their vision, their wisdom and their legacy? We have this concept of the 'Paramatma' - the 'Supreme Being' or the 'Supreme Soul' - of whom we are all a part of. Can it not be that these great people - wise and accomplished men and women that did great service to society, to mankind and therefore to civilization, through their words and deeds - were given the status of 'Bhagavan' and were considered to be a part of (i.e., a manifestation of) that Supreme Being or the 'Paramatma' - through the eras/ages (yugs, kalpas)? Paritranaya: for the deliverance; sadhunam: of the devotees; vinasaya: for the annihilation; ca: also; duskrtam: of the miscreants; dharma: the principles and ideals of 'the right path' or the 'way of life' as it should be - for the good of humankind and for civilization to flourish well; samsthapana-arthaya: to reestablish; sambhavami: I do appear; yuge: millennium; yuge: after millennium. In order to rescue/deliver the good and the pious (the noble-hearted) and to annihilate the miscreants, as well as to reestablish the principles and ideals of 'the right path' or the way of life as it should be - for the greater good of mankind and for civilization to flourish well, I advent Myself millennium after millennium. Here humankind should not be taken as humans only, but creation per se - all living beings. The good and the pious (the noble-hearted) need not mean the profoundly devout or ritualistic people, but refers to ordinary folks who largely have good, positive thoughts and intentions and are somehow making an effort - in their own way - for the betterment of the society or are at least trying to. Miscreants do not mean evil people, since there is no concept of 'evil' in the Vedas or in the philosophy of life rooted in the Vedic wisdom. [Veda comes from the root vid meaning: wisdom, knowledge.] The soul after departing the mortal body does not 'rest in peace' as is thought by some sections of society. The "Sanaatan Dharm" has this concept of Charaiveti - to keep going, in some other form, based on one's Karm (actions committed in that life) - as per the principles of 'Karm Yog'. A great soul (Mahaatma) will be reborn to carry on the good work, in whichever capacity; but every soul (irrespective of its accumulated Karm phal, the fruits of its Karm - in the previous birth) will be reborn accordingly, and get an opportunity to redeem itself. The soul has no form, no shape, no gender; only the outer covering or the mortal body takes the shape of a human (a man, a woman, a tritiya prakriti - the 3rd gender) or an animal, a plant, a bird, an insect, a reptile and so on and so forth. Even the annihilation or the destruction of the miscreants by the 'avatar' (manifestation of the Parmaatma or the Parameshwar) is not to be viewed as a punishment, but as a step towards their redemption. Both 'Sur' or 'Sura' (i.e. positive forces or entities) and 'Asur'/'Ashur'/'Ashura' (i.e. negative forces or entities) are required for creation, and they are present everywhere: in creation, in the universe and in this world; they are present within us (as traits), within society and within civilization as well - so as to sustain it or rather so as to maintain the balance. However, whenever the negative content increases to alarming levels, it threatens creation, society, and families and in effect it threatens civilization. In such scenarios or times, some extraordinary men and women come forward ... and through their words, deeds and lingering influence restores the balance. It has been people and it IS people, mortal humans of flesh and blood, wise and courageous men and women, that have always risen above themselves (their own needs, wants, fears, emotions, attachments, etc) in order to bring the necessary changes in society so as to restore order - in creation, in civilization. This has happened in every age, in every era. Is it not?? And through their actions, these extraordinary men and women have left behind a legacy that has in turn transcended time and space and even triumphed death. We have this concept of 'mrityunjay' - one who conquers death, don't we? To my mind, Shri Krishna was one such "Yug Purush", an illumined man of extraordinary caliber, a man of nonpareil intelligence, a larger-than-life legend. But there have been many more (Yug Purush and Yug Manavi) through the eras/ages/yugs, and this can be observed even in the current difficult era and times - the Kali Yug. What? Parting shot: Despite this being 'Jhulon Utsav' or 'Jhulan Yatra' - the celebration of love - Radha-Krishna's love; yet somehow it seems love is against 'our ancient culture and traditions.' Strange, no? But now that the Ostrich too has been classified as an animal ... I must confess I'm a tad ... umm, apprehensive. Meanwhile, the very auspicious month of Shravan (Shravan Maas - the Hindu lunar month dedicated to Bhagwan Shiv) - has also commenced (19th July - 17th August, 2012). But then, the auspicious and holy month of Shravan has also arrived with the hardest thing of all - fasting. This fasting bit I shall tackle later, so lets begin with the cold bath. A cold bath (after exercise) can soothe sore muscles. But a cold-water bath has been used for centuries as a great way to treat various ailments, so much so that even when the Ancient Greeks developed heating systems for their public baths, they continued bathing in cold water for the health benefits. But folks that have a high blood pressure, are overheated or feverish, or suffer from a heart disease should refrain from taking a cold bath. The heart may jump out of the chest, or one may pass out from hyperventilating - when the cold water hits the body. Moral of the story: Its better to be safe than sorry! Great men have turned water into wine. Big deal! Even 'greater men' have been turning wine and much else into uric acid and regularly watering the plants since time immemorial. And it is these 'greater men' that have unequivocally informed us that the knowledge and wisdom of the Vedas (so what if they are steeped in antiquity and are as old as Time itself) - are old-fashioned, archaic, moth-eaten, chauvinistic, unscientific, out-of-style and communal. Just like Sanskrit. However, all of the above, along with a long holy beard, holier mumbo jumbo, a dollop of saffron, a teaspoon of holy water, a dash of magic, and some sleight of gymnastics - is enough to elevate 'crooked trees' to a position or status even higher than that of the Almighty - the Paramatma. And they (the modern enlightened humans) are also supposed to gently pour milk (not rum, not sherry, not vodka, not gin and tonic, not beer, not even desi daaru ... but milk!) - over what the modern macho man most definitely regards as the 'Shiv Ling' !! This is the month of Ramzan (also: Ramazan) and I being a bhojon roshik (epicurean) Bengali look forward to all the delicious biriyanis, kababs, phirnis and of course the haleem – that are sure to come my way. The latter (haleem) is a very tasty dish that materializes when the working class humble wheat is forced to mix with the bourgeois mutton. This is one red-blooded Communism that even Didi will never be able to dismantle. Though off late her actions seem to suggest that she is determined to ensure that the ebhil sickle rids itself of its sickle-cell anaemia - and becomes even more healthy, wealthy and otherwise than before. Getting back to the haleem, for non-mutton-eaters this version of the haleem posed a severe gastronomic depression (as in despair or gloom) - which the lachrymal glands failed to resolve. Then Chlormint came to the rescue and so we now have this to-die-for dish finally upgraded to its yummy chicken version. Thank Shri Ram (or Shri Rama, whichever is applicable) - for small mercies! And I am not even sure whether the bleating mutton - before it becomes delicious, and the clucking chicken - before it un-clucks itself in a giant copper or aluminium pot, are creatures of the desert. Though (probably) millions of sheep every year board massive cargo ships bound for those distant desert lands or thereabouts, but then those are merely the green card holders - naturalized citizensheep. Methinks: Aboriginal sheep was perhaps that anonymous sheep that quietly penned the Alif Laila (better known as: the Tales of the Arabian Nights) - since the kids (lambs) created a lot of ruckus and refused to be tucked in bed before mid-night. ... But don't even ask me about the wheat. I am almost certain that they cannot grow on tall date palm trees - that are trying their best to speak to the listening heaven. However, coming back to the sheep ... it's best not to speculate, since folks from the land of that great scientist with several 'original' inventions to his name, Guglielmo Marconi, have informed us that it was not Cruci-fiction but Cruci-fact. But then, if it were not for that cruci-whatever or more precisely for that red-suited great big man with a snow-white beard, whose sleigh was driven by Rudolf - the red-nosed reindeer, we wouldn't have been able to gorge on all those goodies, yummy rum cakes with red cherries on top included. We can take the whole bakery but let's leave the baker behind and not share any cake with Robinson Crusoe's Man Friday. As for the baker, he can go and find a new job - that of mixing cement and concrete, so as to create poetry-inducing 'masterpieces' out of brick and mortar, also known as the concrete jungle. These seem to sprout everywhere these days, especially on agricultural lands and pristine lakes. However, continuing with the gastronomic delights, I also intend to explore various noodle dishes and Manchurian cuisine too. So, do stay tuned ... armed with a spoon, a fork or a pair of chopsticks. You see, I have been to Buddhist temples and deeply appreciate the calm and serene environment that seems to prevail there. No elbow-wrestling happening, nor are people seen severely testing the strength of their shoulders and fists. The latter is usually seen open (as in palm instead of the closed fist) and joined together - in reverence, while the eyes - the mirror to the soul - are closed, perhaps in deep meditation. The reciting of the mantras or the sacred hymns coupled with the fragrance of the incense fills the air ... and the surroundings resonate with a positive energy that mere mortal words fail to express. Meditation and prayer or puja are some of the instruments - that aid us in our efforts to unite with the Supreme Being - the divine, or shall I say, the forces of the universe. At the end of it - the puja or the meditation, that is - we feel enriched, energized and a strange calmness envelops us within it's fold. [Note: The gesture used when bowing in Namaste is the bringing of both hands together, palms touching, in front of the person - usually at the chest, or a higher level such as below the chin, below the nose, or above the head. However, mere instruments (like meditation, puja, incense, camphor, earthen lamps or diyas, etc) are not enough. The most important aspect (in one's communion with the divine) is one's mind or more precisely one's thoughts. If the mind is preoccupied with such 'important' matters that range from how much donation will ensure that one's name is engraved on the temple walls or get published in the newspapers; to figuring out such mind-boggling questions of deep philosophical significance, viz., how best to 'catch a glimpse of god', rather get a ringside view, and so on and so forth, then I'm not so sure about the response of the divine, or even the divine per se. Yet, the following (6 out of many more) has been the manner in which a significant portion of the self-proclaimed 'most evolved of all species' goes about the business of god. And have been at it ... for many decades now, or perhaps centuries. Badmouthing gods of 'other' faiths, since one or the other specific faith is THE bestest or THE truest, while also repeatedly stating that THE book explicitly says that God is one and the same. This, despite OUR ancients, enriched as they were with Vedic wisdom, never having known or mentioned the word 'religion'. Places of worship and 'prayers' that revolve around sustained efforts to 'convert' people of other faiths, even the ones that predate the supposedly 'real' and 'true' ones - as if faith (now known as 'religion') can be swallowed - willingly or forcibly - like a pill! Does anything (religion included) come from vacuum? Is there nothing that influences or precedes it? Even a child - human, animal, bird, fish, worms, reptiles, plants, et al - are not born out of vacuum. And how does one change the mark of one's ancestors or forefathers? How does one change the DNA - the mark of one's forefathers - firmly embedded within one's marrows? How indeed?? A mere 'change' of name, attire, the manner of 'offering prayers' and a 'change' of the respective 'place of worship' is all that is required - to connect with the divine and with one's inner self - the soul (aatman). Shifting one's residence or changing one's job is far more cumbersome and time-consuming, I tell you. But then this is the age of instant coffee, instant noodles, instant everything. Filter kaapi is passé. However, if a jam bottle were to be relabeled as a bottle of pickle, it's contents would still refuse to change. But what do jam bottles know? Or for that matter pickles know? Useless inanimate things masquerading as food! And these rats I tell you, they have jumped the queue and cozied up to Shri Ganesh no less, and have been happily feasting on the tasty modaks - meant for Shri Ganesh, but which actually finds their way into various human stomachs ... without so much as a by your leave. This is clearly not Ivy League. Hmmmph! We must therefore make an all-out effort to send these uncultured rats to Harvard Law Ishcool - for appropriate ethical makeover. Umm, but just in case you want to know what I mean by Vedic wisdom, do read Chief Si'ahl's Letter: [Link] - that warns us of the need to hold nature dear in our hearts. "But how can you buy or sell the sky? The land? The idea is strange to us. If we do not own the freshness of the air and the sparkle of the water, how can you buy them?" ... Profound thoughts expressed through beautiful words, isn't it? We must remember to take nothing but memories, leave nothing but footprints. The pattern of life based on Vedic wisdom transcended colour of hair, pupil, skin, height, other physical characteristics, food habits, language, etc., and encompassed vast lands - in the ancient world and even during the early medieval era. There was no 'race', but values - which declined over a period of time, since people gradually learnt to take much more than memories, and forgot to leave their footprints too. Sadly. It - meaning, the holy godly business - is lucratively spy-ritual too, quite IS-CON like, though all that does not glitter is worth more than gold. Also, hardly any investment is required; just a vest would suffice - since interests need to be properly vested, or else they catch a cold and that may even result in pneumonia, and that you see is against 'our ancient culture and traditions.' But one thing is certain, returns hii returns is confirmed, chappar phad ke. Compound interests, fixed deposits, etc - are all child's play (with primitive toys) and pales in front of this super-duper-bumper-lottery. It even ensures persistent astronomical TRPs - the Holy Grail, for the business of news, views and recycled refuse. So, you see ... or you still no see? Auld Lang Syne/ Purano Shei Diner Kotha: Part - II. Author's Note: The 1st part can be read HERE. "Light be the turf on breast of the heaven-inspired poet who composed this glorious fragment! There is more of the fire of native genius in it than in half a dozen of modern English Bacchanalians." In this statement, Robert Burns was confirming that someone else had written this marvelous piece, albeit that the original words had been lost in the mists of time. His reference to "Light be the turf" means... the turf lying upon the writers grave. The "glorious fragment" confirms that Burns had taken the only known verses and added to them. His praise of the unknown writer's talent ("... the fire of native genius") demonstrates Burns great admiration for the words. On this basis, it has been concluded that Rabbie Burns certainly wrote at least two verses, which have been attributed to his style. (Verses 3 and 4) The other verses and the famous chorus are believed to have dated from the middle of the 16th century, if not before. The phrase: "Auld Lang Syne" - is also used in similar poems by Robert Ayton (1570–1638), Allan Ramsay (1686–1757) and James Watson (1711) as well as older folk songs predating Burns. Matthew Fitt uses the phrase, "In the days of auld lang syne" as the equivalent of "Once upon a time..." in his retelling of fairy tales in the Scots language. Some of the lyrics were indeed "collected" rather than composed by the poet; the ballad "Old Long Syne" printed in 1711 by James Watson shows considerable similarity in the first verse and the chorus to Burns' later poem, and is almost certainly derived from the same "old song". It is a fair supposition to attribute the rest of the poem to Burns himself. "Auld Lang Syne" is usually sung each year at midnight on New Year's Day (Hogmanay in Scotland) in the United Kingdom, the Republic of Ireland, the United States, Australia, New Zealand, South Africa, Hong Kong, and the English-speaking areas of India, Pakistan, and Canada ... and signifies the start of a new year. It is used as a graduation song and a funeral song in Taiwan and Hong Kong, symbolizing an end or a goodbye. In Japan and Hungary, too, it is used in graduation, and many stores and restaurants play it to usher customers out at the end of a business day. In both the Indian Armed Forces and the Pakistani Military, the band plays this song during the graduating parade of the recruits. In the Philippines, it is well known and sung at celebrations like graduations, New Year and Christmas Day. Also, before 1972, it was the tune for the Gaumii salaam anthem of The Maldives (with the current words). In Thailand, it is used for Samakkkhi Chumnum (Together in unity), sung after sports. In Brazil, Portugal, France, Spain, Greece, Poland, and Germany this song is used to mark a farewell. It is also used in the Scout movement for the same purpose, but with somewhat different lyrics. The tune to which "Auld Lang Syne" is universally sung is a pentatonic Scots folk melody, probably originally a sprightly dance in a much quicker tempo. In the United States, the song is used as a song of remembrance at 9-11 memorials and other memorial events. The University of Virginia's alma mater ("The Good Old Song"), and the anthem of Alpha Kappa Psi, the largest professional business fraternity in the U.S., is both sung to the tune of "Auld Lang Syne". In India, the melody was the direct inspiration for the popular Bengali song "Purano shei diner kotha" (About the old days) composed by the great Nobel laureate Kobiguru Rabindranath Tagore. And it forms one of the more recognizable tunes in Rabindra Sangeet (the songs of Rabindranath Tagore) - a treasure-trove of 2,230 songs and lyrical poems that form the backbone of Bengali (Bangla) music. In Japan, the Japanese students' song Hotaru no hikari ("Glow of a Firefly") uses the "Auld Lang Syne" tune. The words are a series of images of hardships that the industrious student endures in his relentless quest for knowledge, starting with the firefly’s light - that the student uses to keep studying when s/he has no other light sources. The tune is also used for the Dutch football song, Wij houden van Oranje (We love Orange). In France, the melody is used with French words and the parting song is entitled Ce n’est qu’un au revoir (This is only 'until we meet again' [not goodbye]). In Indonesia, the melody is used as a farewell song that is commonly sung during graduation or farewell parties. In South Korea, the melody was used for their national anthem, Aegukga, until composer Ahn Eak-tai composed a new melody to the existing lyrics. In Italy, Italian football supporters are very familiar with this melody since the 1970s. It is often sung in stadiums during the matches, especially after the kick-off. Many Italian supporters of different regions and cities adopted this tune and arranged its lyrics according to their teams. These are the lyrics sung by A.S. Roma supporters: La nostra fede mai morrà/canteremo noì ultrà/e insieme a te saremo allor/forza Roma vinci ancor (Our faith will never die/we, the ultrà, will sing/then we'll be with you/come on Roma, win again). In Spain and in Poland, the Scouts movement - for their farewell song at the end of summer camps or just to say goodbye after big events - uses this tune. So, I guess, one can safely conclude that "Auld Lang Syne" is indeed a very well traveled song. "Your friend is your needs answered." So said the Lebanese-American artist, poet and writer - the great Kahlil Gibran. And I say, true that! Wholeheartedly. Frankly, there are no words to fully express the joys of having friends, especially friends that one can grow wise with. However, both the great bards – Robert Burns and Robi Thakur tried to, what say? 1. Julie Andrews singing Auld Lang Syne: Link. 2. Auld Lang Syne with Bagpipes: Link. 3. Auld Lang Syne (Celtic Version): Link. 4. Susan Boyle singing Auld Lang Syne: Link. 5. And here's the Bee Gees singing Black Diamond (YouTube link). The lyrics can be found: HERE. Listen to them and be claimed by nostalgia! 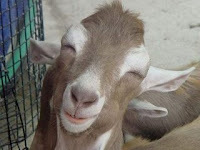 PS: Here's the Bee Gees' How Deep Is Your Love (link). Timeless, isn't it? Just couldn't resist mentioning it here and providing the link too. Enjoy! PPS: As well as making original compositions, Burns also collected folk songs from across Scotland, often revising or adapting them. His poem (and song) Scots Wha Hae served for a long time as an unofficial national anthem of Scotland. Other poems and songs of Burns that remain well-known across the world today include A Red, Red Rose; A Man's A Man for A' That; To a Louse; To a Mouse; Halloween, The Battle of Sherramuir; Tam o' Shanter, and Ae Fond Kiss. To know more about this Scottish genius, hop on to: Link. 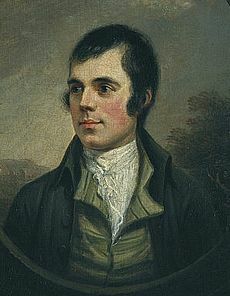 Photograph: The best-known portrait of Burns, by Alexander Nasmyth. Full view of the Nasmyth portrait of 1787, Scottish National Portrait Gallery. Pic. courtesy: Link.